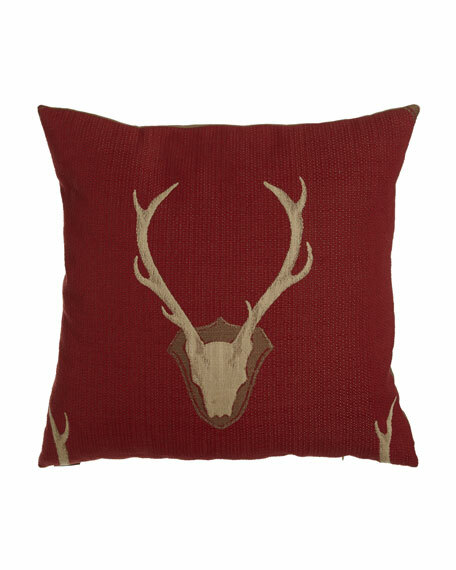 Pillow made of polyester/viscose with feather/down fill. 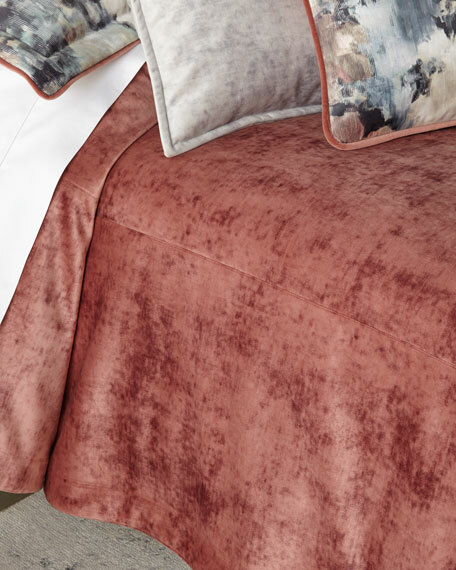 EXCLUSIVELY OURS.Solid velvet boudoir pillow.1" top stitch flange on all sides. Feather/down fill. Polyester.Spot clean.13" x 20". Made in the USA of imported materials. 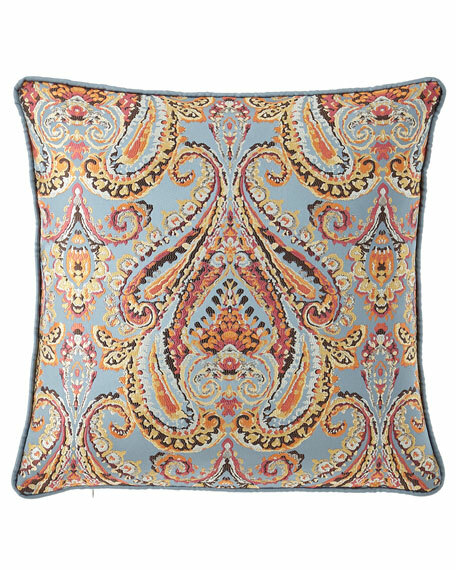 Austin Horn Classics Chelsea Pillow, 20"Sq. EXCLUSIVELY OURS.Pillow with braided cord edge. Main fabric on back. 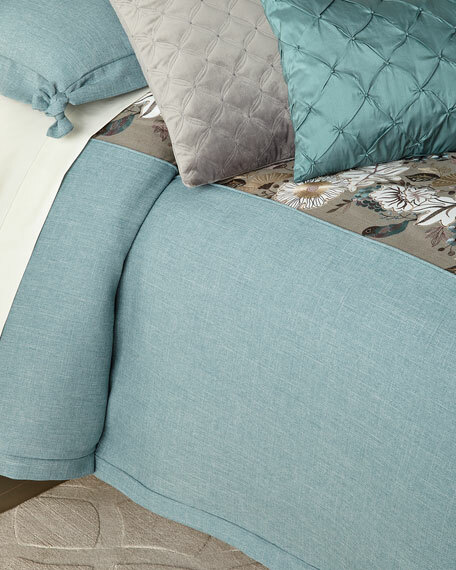 Polyester/viscose.Feather/down insert. Zip closure. 20"Sq. Dry clean.Made in the USA of imported materials. 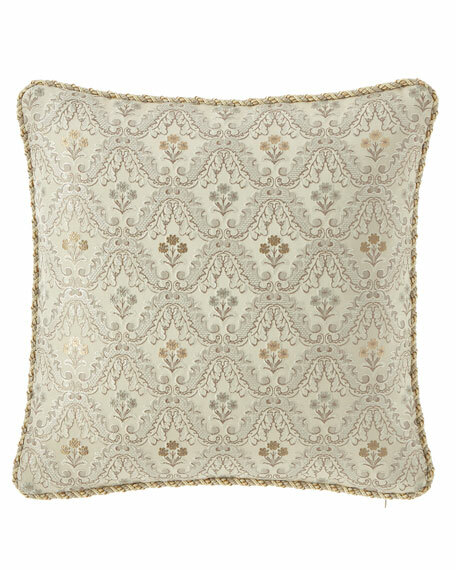 Austin Horn Classics Rowen Main Pillow, 20"Sq. 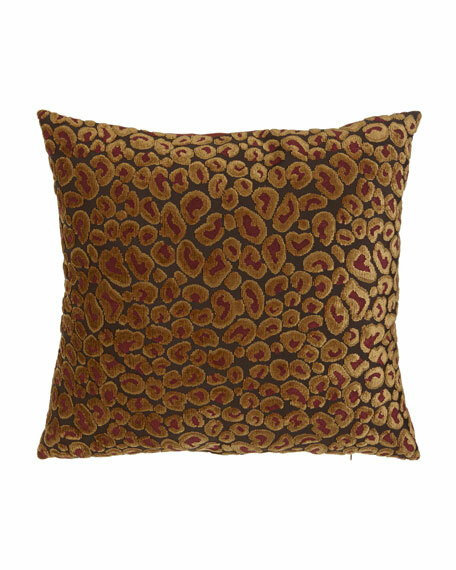 EXCLUSIVELY OURS.Patterned pillow with solid welt cord. Striped back. Zip closure. Feather/down insert. Polyester/viscose.Dry clean.20"Sq. Made in the USA of imported materials.